Awwhh Kiara. ^^ She used to be my favourite TLK character but she isn't anymore. I do still love her though, I prefer her when she is older, she has much more knowledge and is so much more mature. She manages to fix things between the Pridelanders and the Outsiders. Just by reminding everyone that 'they are one', something that her father had forgotten about. She stopped a whole war. I'm glad they put her in instead of Kopa, but I do love Kopa too. Even as a cub, she displayed great wisdom. Compare her "What if I don't wanna be queen? It's no fun." to Simba's "I just can't wait to be king." while singing about running around freely and having no responsibilities. Some might consider this slightly whiny, and probably - it is, but it also shows her nature and how mature she was. Even that young, she knew what it means to be a queen: royal duties, courts, escorts blah, blah. 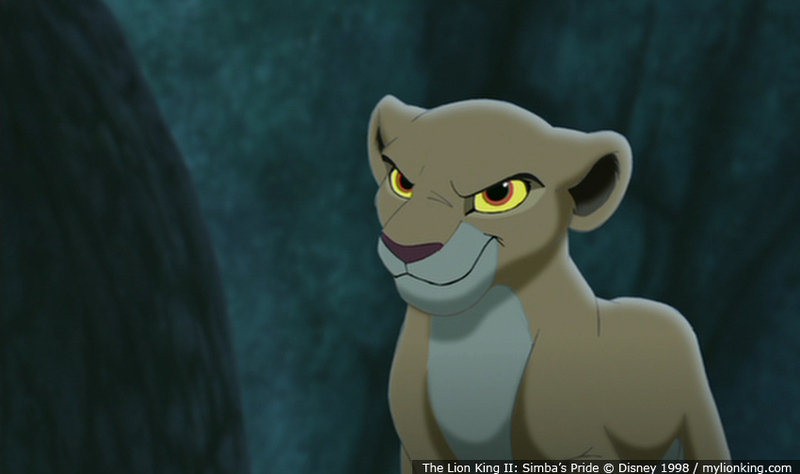 She's the one who shows Kovu that not all the Pridelanders are bad, nor independent crybabies. She's the one who teaches him to play (even though, this play lasted for... a short time). As an adult... again, she helped Kovu fit in the Pridelands, by showing him some love he was obviously lacking (at least, that kind of love) in the past. 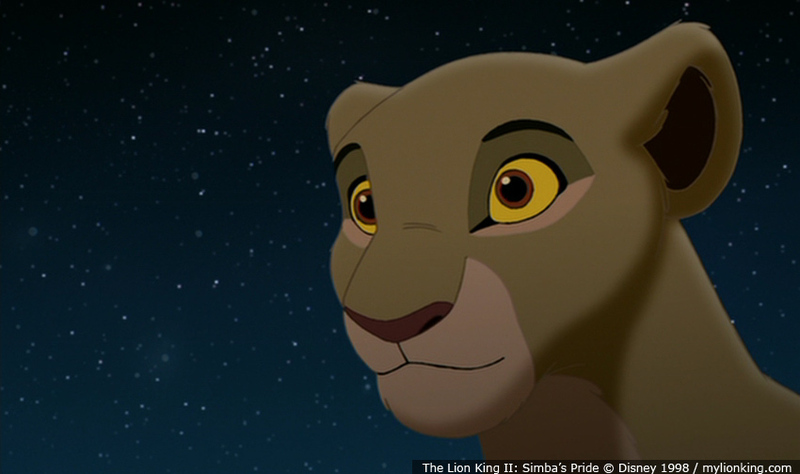 She was the one who eventually united two prides, by realizing the meaning of Simba's words before even he could. She managed to remain open-hearted til very end, even though she had many setbacks on the way. She trusted Kovu all along, even though she (honestly) had million reasons to stop trusting him, very soon. Suma sumarum, she did practically everything in the movie. It is kinda Mary Sue-ish, but it's just her... it fits her, in a way. And I must say, I actually like her whining. It's cute XD . After all, she's not maybe my favorite character anymore (one of - yes, but not absolute favorite), but she'll always be special to me. Always. She is funny, cute young lioness! But I think if her color is more yellow, she will be look better! I love KristinaKiara`s post so much. The character of Kiara took some time to grow on me.. I hated SP at first, but when I gave it a fair chance I eventually ended up loving it. And I am a true Kiara fan!! As for Kiara`s design, I find it pleasing but not very unique. 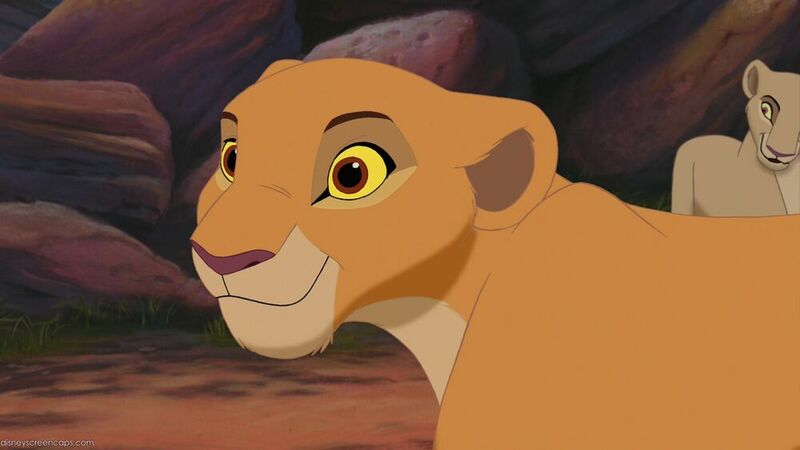 I like that she has Simba`s colours, but I do wish the animators could mix up the genetics a bit and give Kiaras design some touches of Nala as well, such as green eyes and non-coloured toes, f.ex. Anyway, I`ve always liked Kiaras looks, especially as a baby and cub. She is so adorable!! As for personality, I have never found Kiara to be whiny.. I think it`s very interesting that as a cub she dislikes the thought of becoming queen and that she struggles to accept the massive weight of responsibility placed upon her from birth.. she resents growing up to fill a role she never wanted or asked for. This is a very interesting contrast indeed to young Simba. I think Kiara is a positive, kind and warm-hearted person. I love Kiara. She is so sweet. It's sad that she gets alot of hate. People who don't like Kiara seriously depress the hell out of me, they really do. My second favourite char in tlk saga. Love the way she is cute and kind but somehow clumsy in a good way. I think Kiara was quite courageous looking back on it. She didn't like the idea of being Queen, and she opened her mouth about it; she didn't try to conceal it. To tell someone like Simba who obviously cares a lot about his royal duties is brave, and he didn't really understand where she was coming from (they burst into song without addressing it lol). She wanted to be herself, that's an important quality in any character.